Wow. This obituary was a major fail on the Times’ part, and it’s a good thing it’s taking responsibility for the mistake. 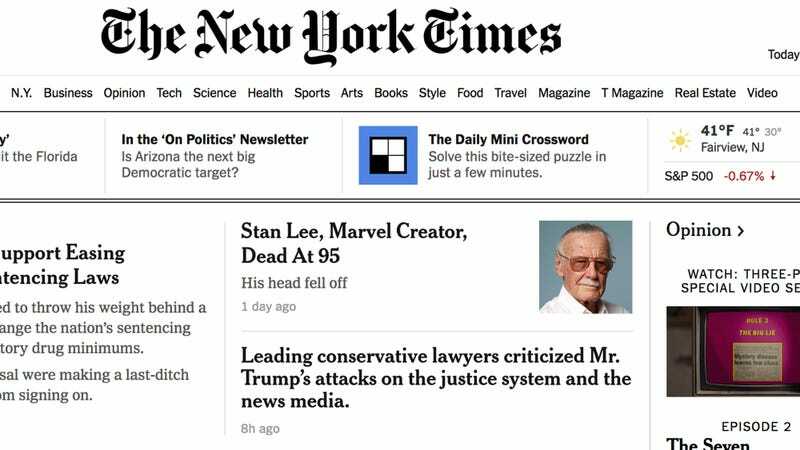 Well, as embarrassing as this mistake may have been, it’s nice to see The New York Times admitting to it and offering an apology to its readers and Lee’s family. Let’s hope it makes up for it by publishing a more fitting tribute to the legendary editor-in-chief of Marvel Comics. Excelsior!